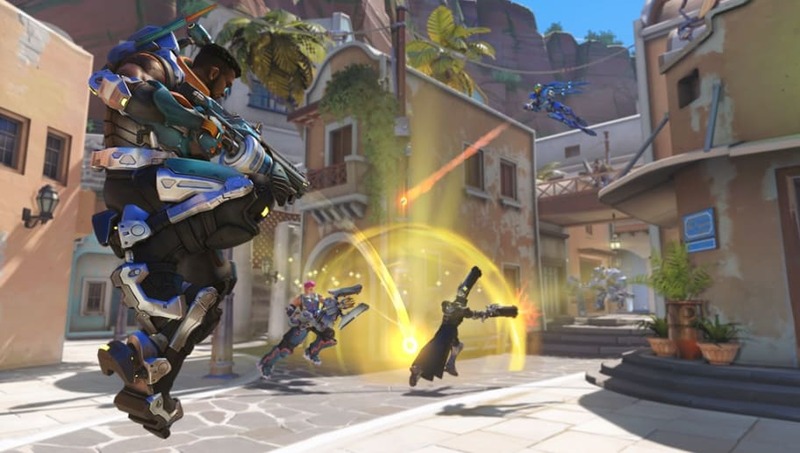 An Overwatch update Tuesday added major changes to armor and the way beam-type damage interacts with it. Blizzard's newest patch notes explained there are also changes to damage over time abilities, like Widowmaker's Venom Mine. ​​The damage taken by armor from damage over time was changed in the new patch. It varied greatly between the different abilities but will now be more consistent across all heroes. Beam-type damage is now reduced by 20% when hitting armor. Damage over time effects are no longer mitigated by armor. ​Changes were also applied for damage boosting. "Previously, the effects of damage boosting were only accounted for if the damage-dealing hero was being boosted as they landed a hit. Now, damage is applied to the projectile as it is fired," the post read. "This means the damage-dealing hero doesn’t need to be boosted when the projectile hits an enemy for the damage boost to be accounted for." Blizzard also adjusted knockbacks in Overwatch. Heroes that are flying, like D.Va as she uses her thrusters, can now be knocked back from abilities like Lucio's Sound Wave. "Instead of having small or large knockbacks that depend on chance, knockbacks will feel similar regardless of the enemy’s movement leading up to the knockback. Allowing flying heroes, like Mercy when using her Valkyrie ability or D.Va using her Booster ability, to be properly knocked back makes for more fluid, realistic gameplay," Blizzard said.